Synopsis: A young comic artist, Fei Ying Xiong, is constantly receiving crude satire from his superior and love rival, Zhang Peng. 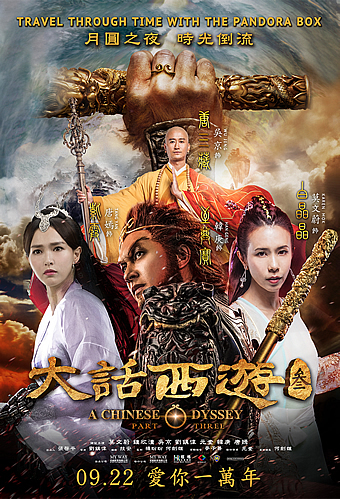 When his work “Kung Fu League” was rejected by Zhang Peng and at the same time misunderstood his crush Bao’er (Madina Memet) for looking down on his poor status, Fei Ying Xiong prayed that the heroes in his work would come to life and help him. His wish came true with the four Kung Fu masters - Wong Fei-hung, Huo Yuan Jia, Ip Man and Chen Zhen traveling together to the modern era to help Fei Ying Xiong win Bao’er’s heart. To accomplish the task, the four masters agreed to train Fei Ying Xiong for a martial arts competition so he could win the prize money and Bao’er’s heart. 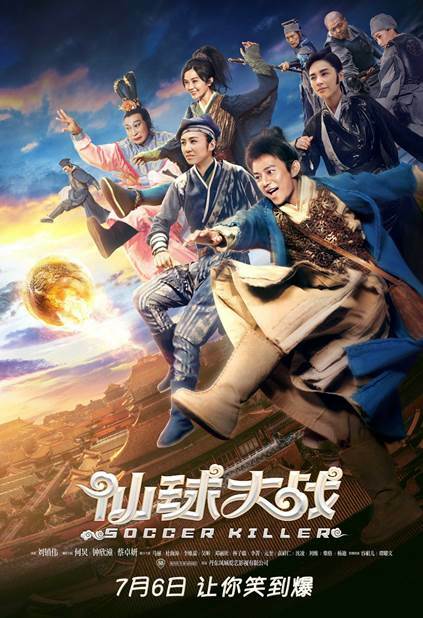 Will the four Kung Fu masters be able to accomplish the task and travel back to their respective era? It did sound like an exciting idea for a movie to bring together four of the most iconic martial arts legends – namely, Chinese folk hero Wong Fei Hung, Wing Chun grandmaster Ip Man, fictional character Chen Zhen and Chinese martial artist Huo Yuan Jia. It did sound even more promising knowing that Vincent Zhao, who played Wong Fei Hong in the ‘Once Upon a Time in China’ film and television series, would be reprising the role here; and that Dennis To, who played Ip Man in the 2010 flick ‘The Legend is Born’, would similarly reprise his role here; and that Danny Chan Kwok Kwan, known for his resemblance to Bruce Lee, would be taking on Chen Zhen; and last but not least, that martial arts-trained Andy On would be playing Huo Yuan Jia. We were even prepared to go along with ‘Kung Fu League’ after knowing that it was a time-travelling action comedy, where these four legends would be somehow transported to modern day to take down some bad guys. Yes, Donnie Yen’s 2014 action comedy ‘Iceman’ that employed a similar premise didn’t quite turn out so well, but hey at least the director at the helm here is Jeffrey Lau, who was behind some of Stephen Chow’s classic comedies like ‘All for the Winner’ and ‘A Chinese Odyssey Part I and II’ and is known for having his own quirky comedic sensibilities. Alas, all that apparent potential which ‘Kung Fu League’ had is ultimately squandered in a completely unfunny movie that, most unforgivingly, cannot even get its action right. You’ll suspect something was off right from the get-go, which introduces us in present day to the nerdy cartoonist Fei Yingxiong (Ashin Shu), who happens to be in love with the same girl Bao-er (Vicky) as his boss Zhang Peng (Zhang Ziwen). Fei is humiliated and fired by Zhang after a fellow colleague stumbles upon him sneaking a love letter into Bao-er’s bag and mistakenly accuses him for theft. Because it so happens to be his birthday, an utterly despondent Fei decides to use his birthday wish to ask for help from the aforementioned martial arts heroes, that are also the characters in his latest comic book sketch. Yeah, you got that right, it isn’t so much as taking down some bad guys that these four legends have been called upon to present day, as it is to help some young man win the affections of the girl he loves. And so just like that, Master Wong wakes up from a dream involving a giant mermaid to find himself on a movie set within the Hengdian World Studios. Ditto the other three grandmasters, whose journey to find their way home brings them to the venue for a World Wushu Contest. Turns out the said contest has been organised by none other than Zhang Peng himself, who is holding the competition in order that his AI-powered suit of armour may learn the moves of these top pugilists and win over Bao-er. 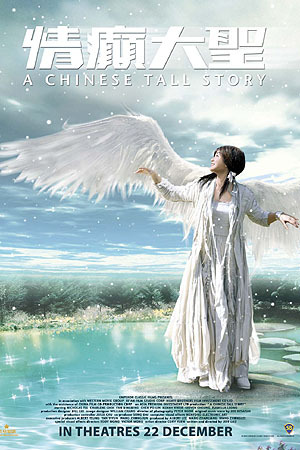 Indeed, it is this selfish quest for love which drives everything else in the movie – even Master Wong’s very motivation to fight in fact, as he loses all motivation to survive after discovering that his love Thirteenth Aunt is in love with someone else. Gone is the sense of justice and righteousness that our heroes used to stand for; here, it is all about love, love and love, even if it means reducing these heroes whom we admire to caricatures. Not a single one of them is spared – not Chen Zhen who has no other role than to lavish praise on his master Huo Yuan Jia’s good looks and charms; or Huo Yuan Jia, who is obviously enamoured with himself and is revealed early on to be Thirteenth Aunt’s other lover; or Master Wong, who when he finally realises he is being cuckolded, stands stationary in the ring and asks his opponent (Bruce Leung) to beat him to his death – except for Master Ip, who likely due to IP (read: intellectual property) issues with the real-life character, is revealed later on to be no more than an impostor called Ip No Man. It’s one thing to poke fun at these characters, and another to mock them, but unfortunately, Lau’s ‘Kung Fu League’ is unable to tell the difference. We can take the fish-out-of-water jokes, such as when our heroes board a subway car with their horses in tow, but having them exchange kisses with each other so they can get a free meal at McDonalds feels to us like utter disrespect. Those looking for some credible martial arts action will also be severely disappointed, as action director Leung Siu-hung seems to have no qualms overdosing on wirework, even to the extent of rendering some of our characters with the gift of flight. We’re not sure whether Leung gave up on the movie or just couldn’t bother, but there is no attempt at all to honour the unique fighting styles across the various grandmasters, which to us defeats the purpose of gathering them in the same movie in the first place. Frankly speaking, we were not just disappointed by the movie; we were even disgusted by it – disgusted at how Lau decided to bring them together just to insult them all at one go; disgusted at why these credible martial arts actors Vincent Zhao, Andy On, Danny Kwok and Dennis To would deign to play these beloved characters in such disreputable ways; and disgusted at how the promise of watching these characters onscreen at the same is but a ruse to get audiences into this crap excuse of a movie. 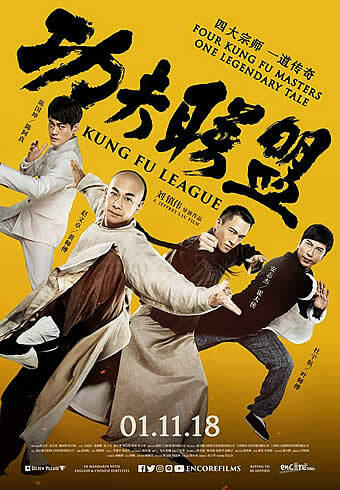 That the movie dares to call itself ‘Kung Fu League’ is a disgrace to the word ‘kung fu’ itself, and we wouldn’t feel any regret if no one offered Lau a movie to direct after this. This is hands down one of the worst movies of the year, so spread the word and stay away.